Going gray is a topic that immediately puts people on edge: many people consider it the universal sign of aging, or of ‘letting yourself go’. What if I were to tell you that there is a gray revolution going on out there, internationally, led by women of all ages and races – tired of hiding, maintaining, coloring and damaging their hair. 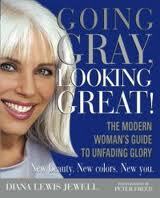 Or perhaps women who had the foresight never to begin dying their gorgeous gray in the first place? OK, where shall we go? How about Vegas? Here's just a sample representation at the Venetian, Las Vegas - Sept 2011 Going Gray, Looking Great! I stumbled upon my Silver Sisters after a series of mishaps caused me to miss one color appointment, then two. 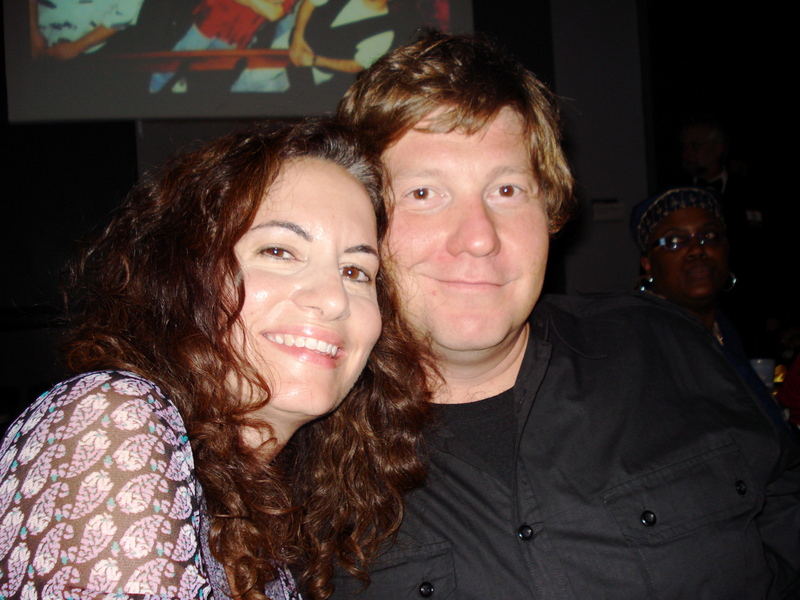 I had been gearing up to attend a big awards ceremony – the band I work with was being inducted into the local Music Hall of Fame. I had my colorist on speed-dial, and had booked an appointment for the week before the ceremony, so I would look my best. Then my daughter got the flu. No worries – bumped the appointment into the week of the big event – I’d look even better, fresh from the salon chair, right? Then my daughter’s flu turned out to be Swine Flu. And she got pneumonia. I no longer gave two figs about whether my hair was gray or purple or falling out. Luckily, she responded well to the medicines prescribed and was on the mend by the time the induction ceremony rolled around. 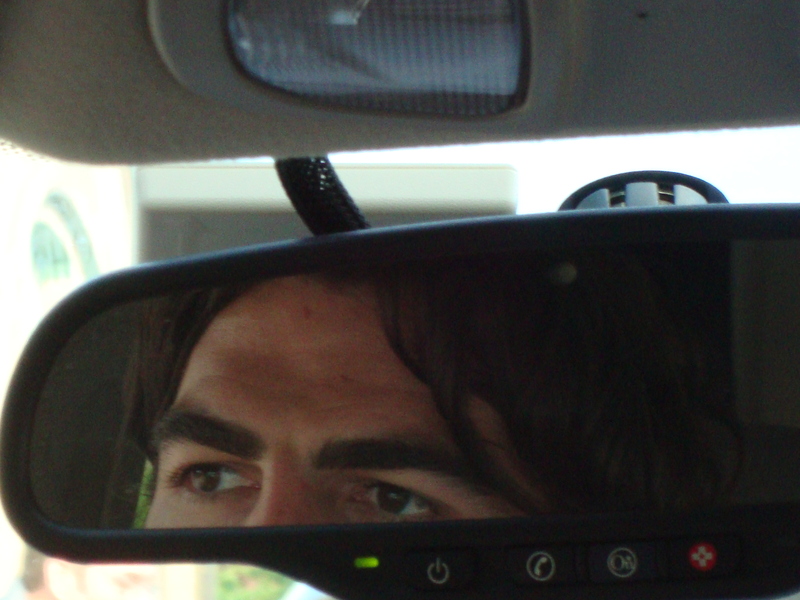 But her mom, well – I had a big glaring patch of roots right in my part line that I had no clue what to do with. For one desperate minute, I even considered running a mascara wand through it. Silly Jess. Gray is hot. I took his word for it (he is my boss, after all) and “missed” my next appointment too. I started to think: maybe what’s under the dye isn’t so bad after all. Then I decided to Google Gray. Guess what? I found an amazing book and its companion web site, filled with wonderful women and their stories. Sharing photos in transition and lending support to “Newbies”. It was truly an ‘ah ha!’ moment for me – I could do this! 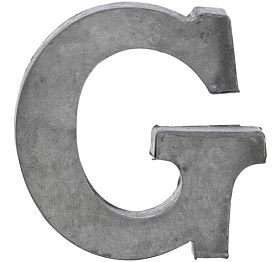 Although the original GGLG web site has changed formats (you can still get the book there), Diana has done a great job keeping the Going Gray, Looking Great facebook page chock full of wonderful info and photos for those looking to make the transition. 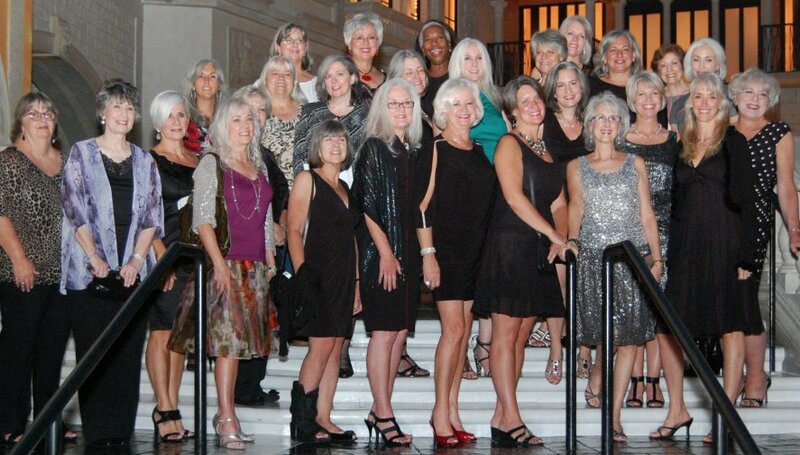 I connected with so many like-minded women, from all different paths, choosing gray for all different reasons. I jumped at the chance to go to the 2nd annual GGLG convention held in Las Vegas last fall so I could finally meet so many of the ladies I had conversed with, including dear Diana herself. To see all that glamorous gray in person – every one had a different shade, a varied hue and texture. Who says gray isn’t a color? Susan Hersh, the model who was also interviewed in the segment, came to Vegas with us, and is even more stunning and delightful in person than on the screen. A great Gray spokesperson! 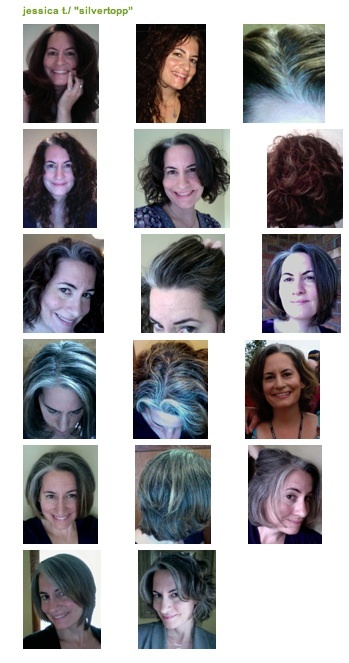 It took me 14 months to completely transition to my natural color – and yes, some of the stages were pretty awkward. But in the grand scheme of things, 14 months is nothing compared to the lifetime ahead of me, filled with confidence and genuine happiness with my decision. Not to mention the memories and friends made on my journey. I happen to have a really nice friend named Justin, and Justin happens to have really nice eyes. Here’s a tiny exercise for my writing friends (especially my WNYRW friends) – what do his eyes say to you? Could they inspire six sentences, a thousand words, or maybe a really happy medium in between?